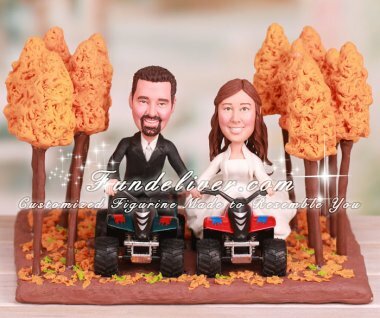 This is a completely customized four wheelers dirt trail riding in woods wedding cake topper ordered by one of our customers. 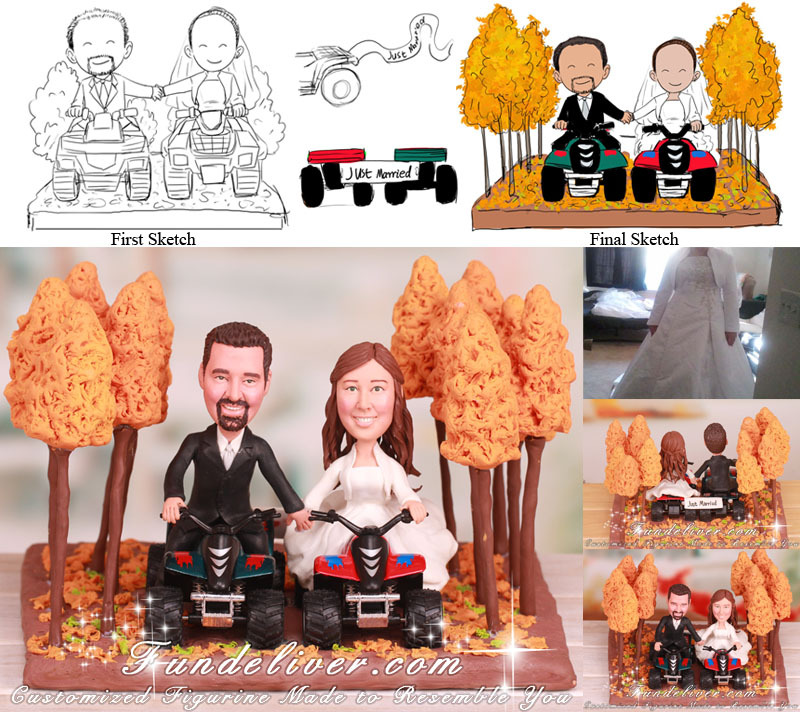 They would like the groom to be sitting on green four wheeler and bride to be sitting on red four wheeler. Both smiling and riding side by side holding hands and their other hands on the handles of their respective four wheelers. They were getting married in the fall and love to ride on dirt trail in the woods. So they wanted a base with a couple of trees and fall leaves on the ground to reflect the wedding season and their interest. Also they would like a ribbon to go across the back of the four wheelers that says "Just Married".